Troy Historic Village has announced the 11th annual Troy Traffic Jam car show will take place 10 a.m.-3 p.m. Sunday, Aug. 5 at Columbia Center on Big Beaver Road and feature nearly 300 vehicles on display. The village also announced the launch of Connect with Careers, a new youth mentoring program. Each year, the event has displayed high-profile vehicles. This year will feature the Duesenberg J-582. More vehicles will be announced as they are confirmed. The show has previously hosted two rare Tucker 48s, a 1930 Rolls Royce Phantom once owned by German actress and singer Marlene Dietrich, and concept cars from the GM Heritage Center. The Connect with Careers tent, sponsored by The Suburban Collection, will showcase hands-on job training programs and offer students and their parents the opportunity to meet with representatives from automotive technology groups and tier-two automotive companies. Representatives will provide information and give live demonstrations. The Troy Traffic Jam will also offer kids’ activities, to be announced. 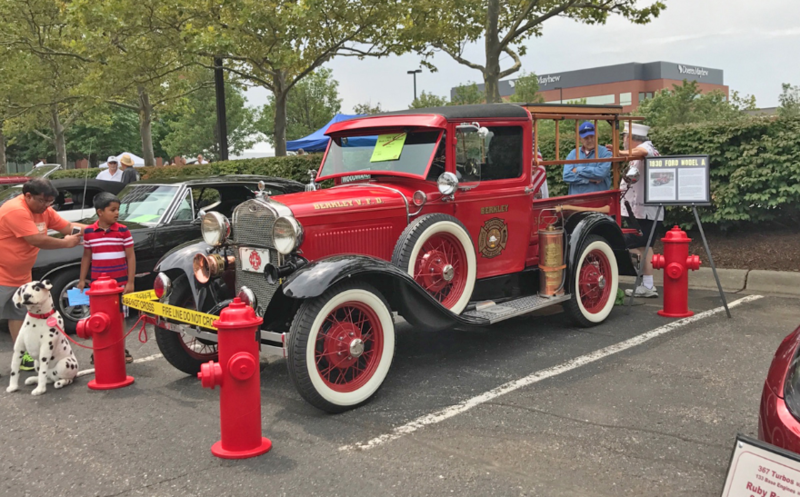 Last year’s show included kid and car-friendly crafts, face painting, and kid voting, in which children selected winners of best of categories. The event will also feature food from area restaurants. “Much of our success for last year’s event focused on the generous support from sponsors that included KIRCO/Columbia Center, The Suburban Collection, Kelly Services, and the City of Troy, who understood the importance of supporting educational programs at the Troy Historic Village,” says Tina Collins, fund development director for Troy Historic Village. This year’s sponsors include KIRCO/Columbia Center, Kelly Services, The Suburban Collection, American House, and the City of Troy. Sponsorship opportunities are still available, and interested parties can contact Collins at tcollins@THVmail.org or (248) 524-3571. Those interested in displaying vehicles can register here. The preregistration entry fee is $20 per car. Day-of-show registration is $25. All registration fees are tax deductible and support the Troy Historic Village.